Members of the RNS Board of Governors get their first look at the new RNS Cardiac Center. 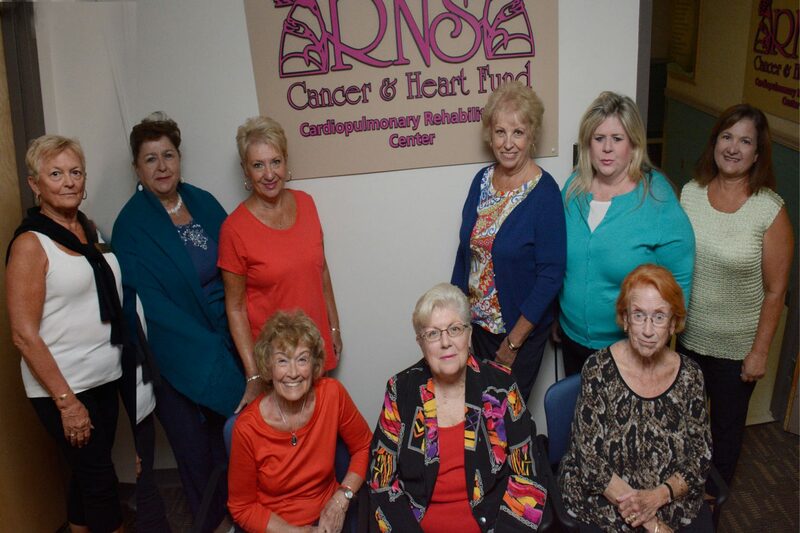 After serving hundreds of patients over many years, it was time for the Bacharach Ruth Newman Shapiro Cardiac Rehab Center to get a makeover. The Rehab Center was recently revitalized thanks to a generous donation of $150,000 from the Ruth Newman Shapiro Cancer & Heart Fund (RNS). Cardiac Rehab is an extremely important component of part of recovery for those who have suffered from a heart attack, stent surgery or angioplasty, open heart bypass or valve surgery, stable angina, peripheral vascular disease or other cardiopulmonary conditions. Cardiac rehabilitation is broken down into three phases, with Phase I starting when the patient is still in the hospital recovering. In Phase II, patients enter a 12 week program where they have one hour of supervised outpatient therapy three times a week. They exercise, using different kinds of equipment to help them build up heart and lung strength. Throughout all the exercises patients vitals are constantly monitored and progress reports are provided to their physician. Patients are also taught about risk factors, behavior and nutrition. When patients are deemed ready for Phase III their exercise program is redesigned to be self-directed and take place in a supervised cardiac rehab setting. The patient’s blood pressure is monitored both during exercise and rest. The new gym at the RNS Cardiac Rehab Center features treadmills, stationary bicycles and other exercise equipment. What separates the Rehab Center from a traditional gym is the staff of therapists and exercise physiologists who are trained to supervise a controlled exercise program under the supervision of a physician.